100% handmade bag with vintage clip and curved wood. 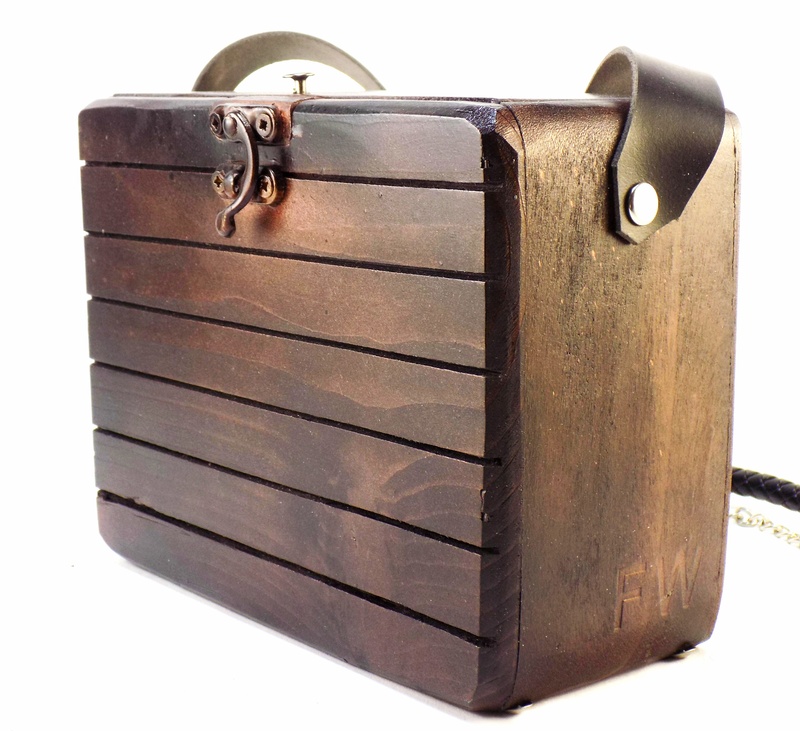 100% Handmade wooden bag with metallic clasp, which gives security. 100% Handmade wooden bag with leather strap.